Getting the required amount of Vitamin Sea is important for making unforgettable memories and a healthy dose of Vitamin D is essential for building strong bones but no matter how gorgeous a sprinkling of freckles might look, it's vital that your children stay safe in the sun. Failing to take the necessary measures against harmful rays can leave them vulnerable while they go about their exotic adventures but taking precaution while they're young, wild and free will ensure delicate skin and important immune systems get a head start protecting against over exposure to the sun. Unfortunately, the incidents of skin cancer are still on the rise but you can help prevent four out of five of these by nurturing a new generation of beach-ready style-setters who are savvy about sun safety. When it comes to sun protection, children who are surrounded by adults who look after themselves in the sun are more likely to develop their own safety regimes in the future. 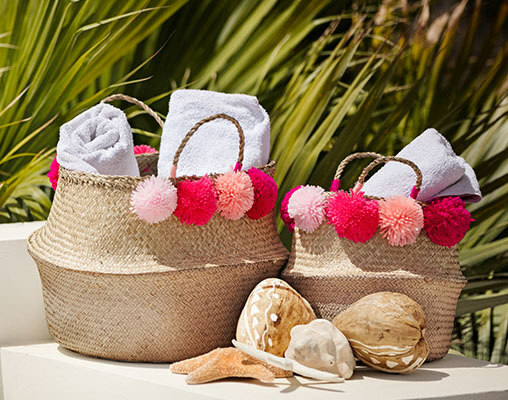 As the global climate changes, the sun is getting stronger and while might be great for sipping fruit smoothies around the pool and swinging in hammocks at the beach, it means precautionary measures need to be turned up a notch too. Water babies under the age of 6 months should stay in the safety of the shade at all times but when it comes to those older beachcombers seeking adrenaline-pumping adventure, you're going to need some extra back up. The great news is, here at Sunuva, sun safety doesn't have to be a challenge or a substitute for style. Water-resistant sun blocks with high SPF and cover-up clothing are a great place to start but we're taking sun protection to the next level and it couldn't have come at a better time. 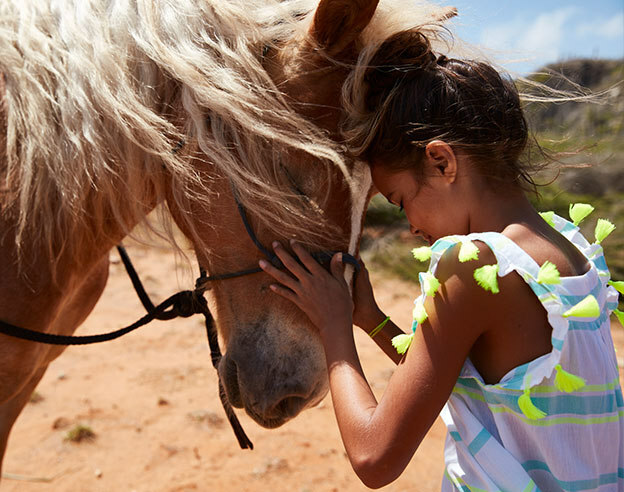 Thanks to our effortlessly stylish range of UV-protective kids’ swimwear, sun safety has become a real breeze. Our collection of vibrant prints and contemporary designs mean your children can look cool, feel cool and most importantly, stay protected. We would always recommend using a high factor sun cream on all exposed areas of the body, areas which our gorgeous swimwear sets don't quite cover. 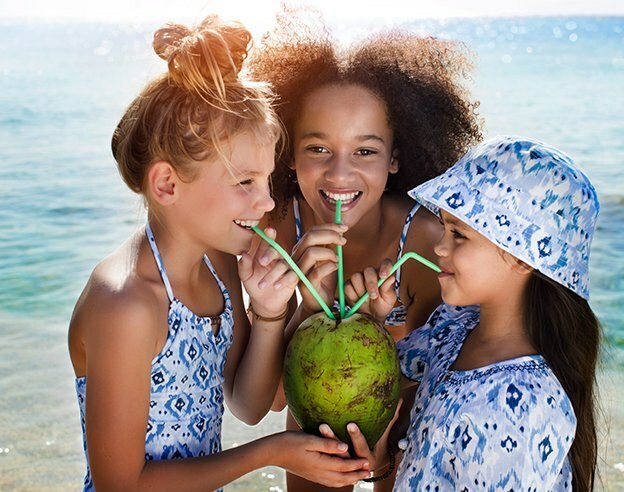 Sunuva rash vests, swim shorts, bikinis and swimsuits are all created using a premium Italian fabric that provides 50+ UPF (UV Protection Factor) defence against 97% of the sun's harmful rays. This luxurious fabric comes in a range of bespoke Sunuva prints, which means keeping your island adventurers safe in the sun no longer means a compromise on design. 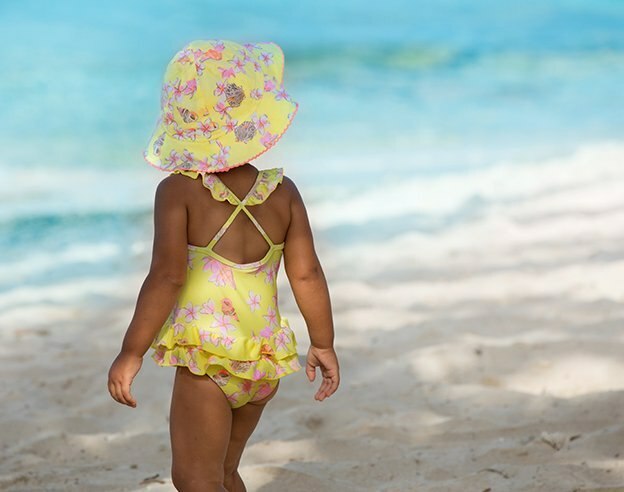 Sun safety is a high priority here at Sunuva because after all, the protection of delicate skin from overexposure is the main reason our brand was born. 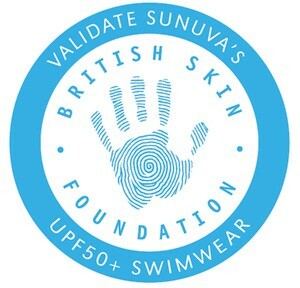 Our collection of gorgeous kids’ swimwear has secured a glowing endorsement from the British Skin Foundation and we know this validation will mean as much to you as it does to us.